Ramen-Ya has been on the Melbourne food scene since 2007. Their original restaurant is located at GPO, along an alleyway of sorts (of course, it’s Melbourne). 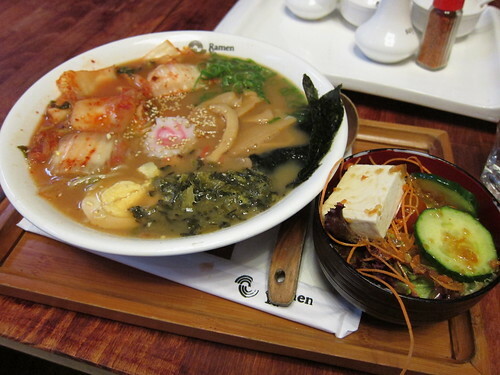 Their primary cuisine is Japanese Ramen, but they also offer a selection of bento boxes. To keep you reassured, this is an authentic Japanese eatery, and quite a popular one at that, with another Ramen-Ya located further down on Bourke St.
Oddly enough, I ordered something not particularly authentic but becoming quite popular in Japanese restaurants. 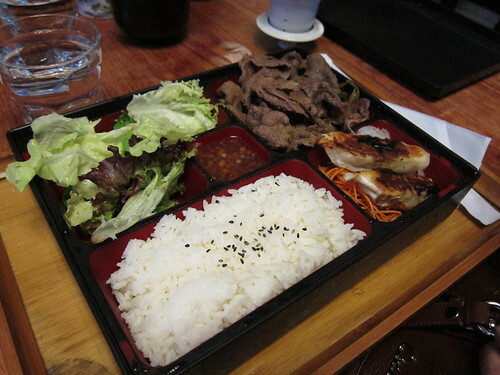 I saw many Japanese restaurants in Vancouver that had Korean fusion dishes. The Korean flavour to this ramen dish adds an interesting taste to the dish. It’s a bit sour and a tad spicy and mostly what Kimchi is. You can pick your soup base too, I chose the Miso one just to be a little different. I found it to be intriguing combination but the only downside is that the soup was lukewarm, and by the time you finish it, it’s basically cold! Other than that, it’s a delightful dish that’s mostly vegetarian apart from the charshu but having the soup hot would have made me like it even more. 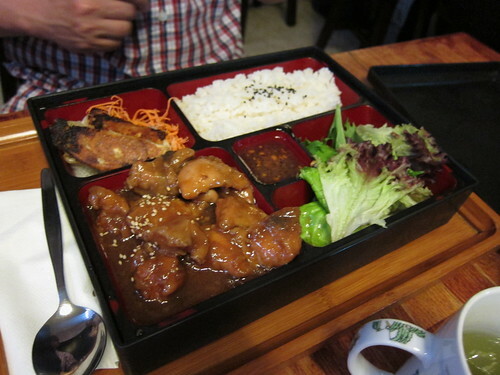 Ramen-Ya’s Chicken Teriyaki bento is also nicely prepared. The chicken teriyaki has that usual teriyaki flavour, it needs a bit of the Japanese chilli powder just to give it a bit of a kick but the chicken was well cooked and seasoned. Really, what more could you ask for. I really liked the taste of the Beef Sukiyaki, the beef is nice and soft and the sauce (albeit it’s on the sweet side) is delicious. You can get salad and miso soup, or any dish, for a small sum if you’re eager to round out your meal. The bite sized gyoza had a very substantial flavour to the filling, with that hint of ginger, and freshly cooked is also very pleasing. 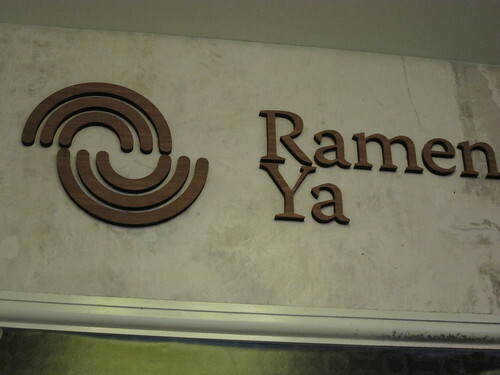 Ramen-Ya serves up authentic Japanese cuisine that is certain to delight people’s tastebuds. You can really see why people come back for more but I really do hope the lukewarm soup base for my Ramen was a one time mistake (it was also an extremely warm day) as it can really detract from your dining experience. I never am quite satisfied when eating cold food that is supposed to be warm, it just doesn’t fill you up in the same way.